Fox defends George Soros against “many unfounded conspiracy theories”. The billionaire advocates for the rights of migrants and minorities, ranging from LBGTQ to Muslims, through its Open Society Foundations. These aim to “build vibrant and tolerant democracies whose governments are accountable to their citizens”. Donald Trump accused him of organizing the demonstration against the nomination of Brett Kavanaugh to the Supreme Court in Washington DC and stated protesters were “paid professionals” who got the money from Soros “and others”. 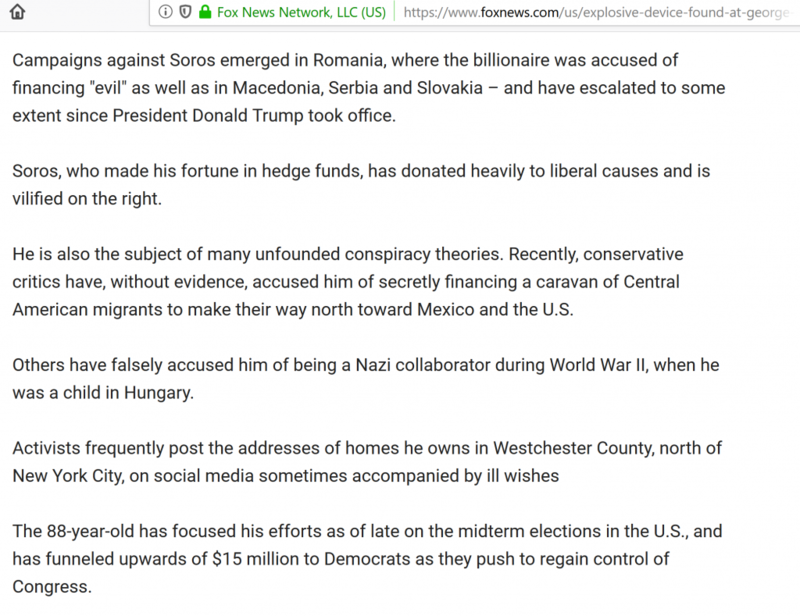 After the report of an explosive device in Soros mailbox emerged, Fox News used the opportunity to clarify that he is “subject to many unfounded conspiracy theories”, such as financing the march of migrants from centralamerican Honduras crossing Mexico towards the States. It is a similar accusation to the ones the Hungarian billionaire faces in his country of origin from its prime minister, Viktor Orbán, himself. Meanwhile, Hungarian media outlets which favour Orbán -such as Magyar Idök, Magyar Hírlap, Faktor or Origo, had not informed about the bomb package against Soros and Orbán had not said anything either by the time this piece was redacted. 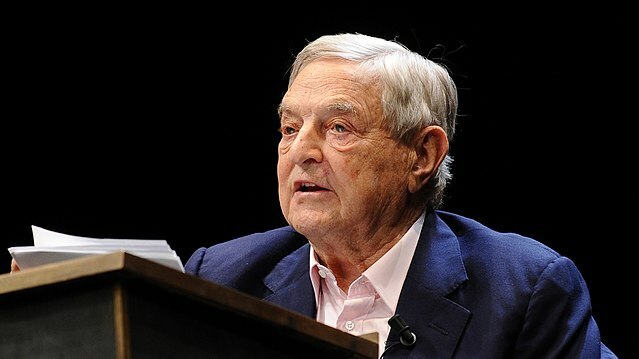 Soros has been a target of Orbáns policies in the last years to the extent that his Governments itself speaks about its “Stop Soros” legislative package to tackle migration and refugees. The European Parliament recently voted in favour of applying sanctions against Orbáns Government as it sees “a clear risk of serious violations” of the European Union’s values, due among other issues, to its media censorship or its treatment to immigrants. The European People’s Party members -to which Orbán’s Fidesz belongs- had freedom to vote and many of them voted against him, included its president, Manfred Weber. The offices of Soros’s Open Society in Budapest have had to move to Berlin.